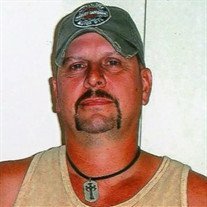 Bradley "ALC" Stephen Phares, Age 52 of 1441 Sears Gap Road, Maysville, WV passed away suddenly Tuesday, July 10, 2018 as a result of a motorcycle accident..
Brad is survived by his wife of 30 years, Sheila Zimmerer Phares. Two daughters: Samatha Goldizen and husband Anthony of Maysville, WV and Heather Phares and significant other Jason Moneymaker of Stuarts Draft, VA.
His mother, Naomi Hedrick Phares Goldizen and husband Riley of Cabins, WV. Three Uncles: Don Phares and wife Frances, Roger Kile and wife Debra and Bob Hedrick and wife Nevie. One Aunt: Patricia Judy and husband Harlan. Five Nephews: Tyson Bobo and wife Samantha, Tyrell Bobo and wife Cassidee, Travis Phares, Tyler Phares and wife Kaitlin and Logan Phares and Fiancée Megan Cook. Four Nieces: Angela Evans Green and husband Derek,Tiffany Phares, Kendra Bobo and Fiancé Gavin Jenkins and Brooklyn Phares and eight great nieces. He had numerous friends and acquaintances that he considered as his own family. He is preceded in death by his father Alfred J. Phares, two infant twin brothers, paternal grandparents Macie and Tom Kile, maternal grandparents Bessie and Carl Hedrick, several uncles, aunts and a special dog named ACE. Brad was a graduate of Petersburg High School class of 1984. He was an E4 in the U.S. Army. He was employed by American Woodmark Corporation as a maintenance employee. In between working for American Woodmark, he was employed by J.F. Allen. Brad was an avid hunter, trapper and fisherman. He loved the outdoors and all of his animals especially his love for his dog "Baby Girl" Bailey. He had the love for his Harley Davidson motorcycles. He acquired many skills especially the ability to create anything from scratch. His immediate family would say he was a substantial griller using his own special spices that he put together. As he would say and indicated by his tattoo he was "Livin' the Dream". Family will receive friends on Friday, July 13, 2018 from 5 - 8 p.m. at the Schaeffer Funeral Home in Petersburg. Funeral service will be held on Saturday 11 a.m. July 14, 2018, at the Schaeffer Funeral Home with the Rev. Lynn Rohrbaugh officiating. A military graveside service will be conducted by the Potomac Highlands VFW Post 6454 and WV Army Honor Guard at the Ours Family Cemetery in Rough Run, WV. In lieu of flowers memorials may be made to the Phares Family, c/o Sheila Phares, 1441 Sears Gap Road, Maysville, WV 26833.